Strong, Light and Eco-Friendly Materials make Klamath different from the rest. With one of the highest strength to weight ratios of any boat building material, aluminum is ideal for constructing strong, reliable boats today, as is was when Klamath Boat Co. was founded in 1947. Marine grades of aluminum are virtually impervious to the elements, and can take a beating day after day, year after year. This translates into time on the water, instead of time polishing, and repairing. Aluminum’s light weight allows for easy to handle boats, in and out of the water. This weight advantage, combined with Klamath’s exceptionally efficient hull designs, allow the use of smaller engines, thus reducing both initial cost and operation expenses. All hand welded construction inside the 16 Double JAC. Inside the welded 21 Bayrunner Baja. Clear and consistent bead pattern. “The stack of dimes”. 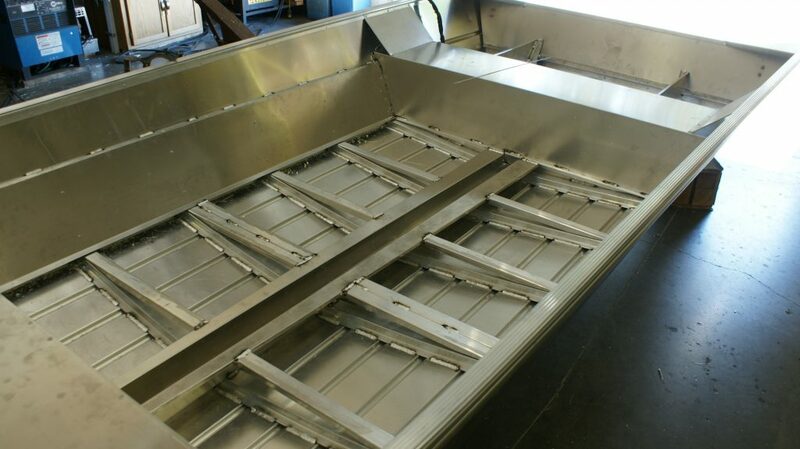 People are always asking, “What makes a good welded boat?” The first thing we tell them is to look at the quality of the welds. You want to see a clear and uniform bead pattern and not something splattered on. This is the absolute best way to join two different pieces of material. 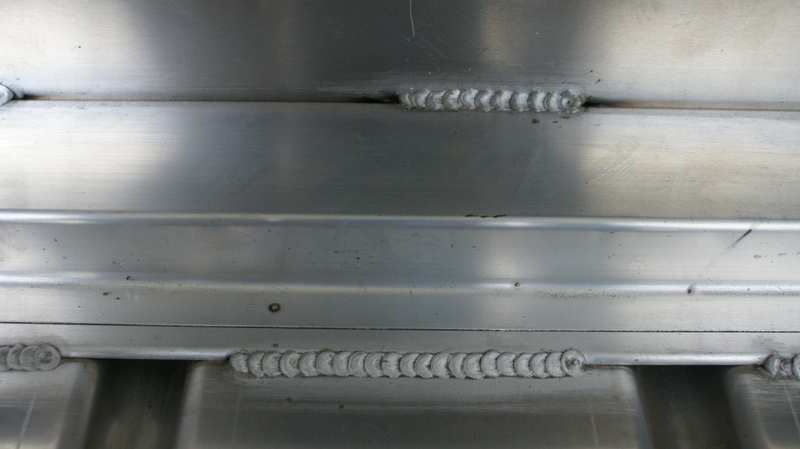 The weld also has a better appearance and optimum penetration. Only a few manufacturers can accomplish this. Beware, some builders will put their best welder on the outside finish welds while the inside hidden welds are done by a lower skilled apprentice. 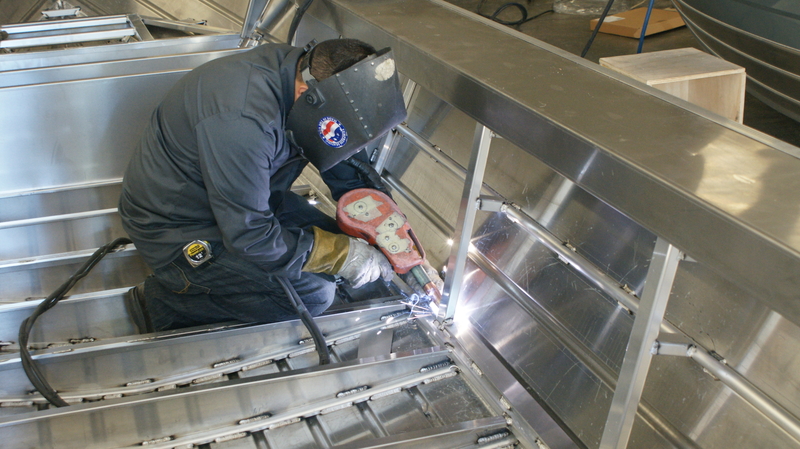 Our boats have the highest quality of welding done on the outside and inside of the hull. Take a look around and inspect the other boat you are looking at. Make sure this is the kind of work you are paying for, that way you can be sure your boat won’t fall apart when you are out in rough seas. Inside welded construction of the 21 Bayrunner Baja. 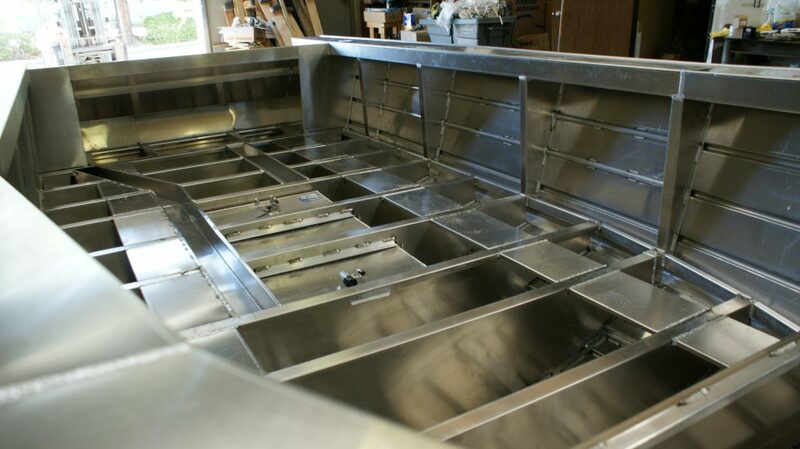 Our boats are all fabricated, hand welded, and fully assembled in Fairfield, California. Each Klamath hull is constructed one boat at a time. It is a slower process, we are not building 1000 units per year. We do not believe in having a slotted amount of time at a station forcing our builders to rush jobs. The boat does not leave our facility unless the materials handling, welding processes, and finishing of a Klamath are properly done and structurally sound. This the right way to build boats.